When it comes to pumping breast milk and storing it for your baby, many mothers can get confused and scared of what the correct method might be. However, breastfeeding your baby several times a day on demand is sometimes unachievable with a busy schedule – so several mothers opt to store their breast milk for the sake of flexibility and comfort. There are several methods to feeding your baby – but having said that, there is a right way to storing pumped breast milk to ensure your baby is well fed every single time. What’s the right container to store breast milk? Picking out the right container to store your breast milk is the first decision you should make – you should opt for BPA free containers. Containers that have BPA mean that they include an industrial chemical used to make plastic. Therefore, it’s good to use glass or BPA-free containers to keep your expressed milk free of any chemical residue. Also, avoid using plastic milk bags to store your breast milk as the bag might tear, leak or become contaminated. What’s the right temperate to store breast milk? After choosing the right container for your breast milk, label each container with the date you pumped the breast milk to monitor the freshness. Attempt to store breast milk in individual batches to avoid throwing away any used breast milk and to ration them out for later times – start with 2-4 ounces per container and increase the storage amount as you go. Ideally, you should place the containers in the back of your fridge to guarantee a cooler temperature. You can also freeze your expressed milk but avoid filling the container to the top as breast milk expands when frozen. What’s the right duration to store breast milk? 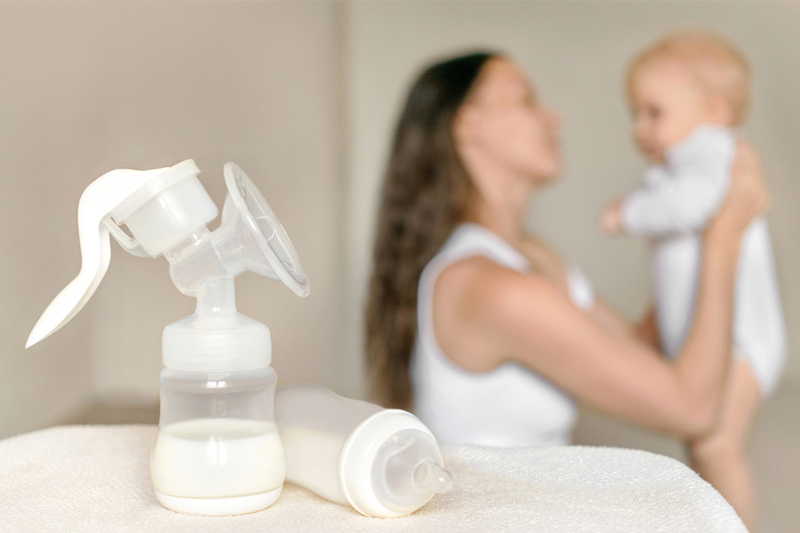 It’s never advised to keep using stored breast milk for a long period of time – instead it’s advised to pump and store the milk regularly, freshening out the batches as needed. Room temp: expressed breast milk can last for four to six hours. Cooler temp: with an insulated cooler, breast milk can last for one day. Fridge: expressed breast milk can last between three to five days. Freezer: with a deep freezer, breast milk can last between six to 12 months in clean conditions. Even if storing your breast milk provides some flexibility, storing breast milk for long periods of time can have more loss in Vitamin C in the milk. Therefore, it’s advised to freshen up the batches more often – especially if your baby is a newborn in order to guarantee you’re meeting the baby’s needs.